German Rodriguez is a bilingual journalist with experience in TV, radio and print. He graduated from Texas A&M University – Kingsville where he majored in Communication/Journalism. Most recently, Rodriguez was employed by Entravision at Univision in Midland-Odessa. Here he served as a Multimedia Journalist where he shot, wrote and edited his own stories on a daily basis. Before Univision, he was part of Nexstar Media Group’s Telemundo Abilene where he got his first opportunity in broadcasting. At this station he began by helping produce the daily newscast and serving as weather anchor both at the same time. Later on he started reporting for the station and learned every aspect of shooting, writing and editing daily packages. He also contributed with daily video and sound bytes for Telemundo Abilene’s sister stations KTAB and KRBC. 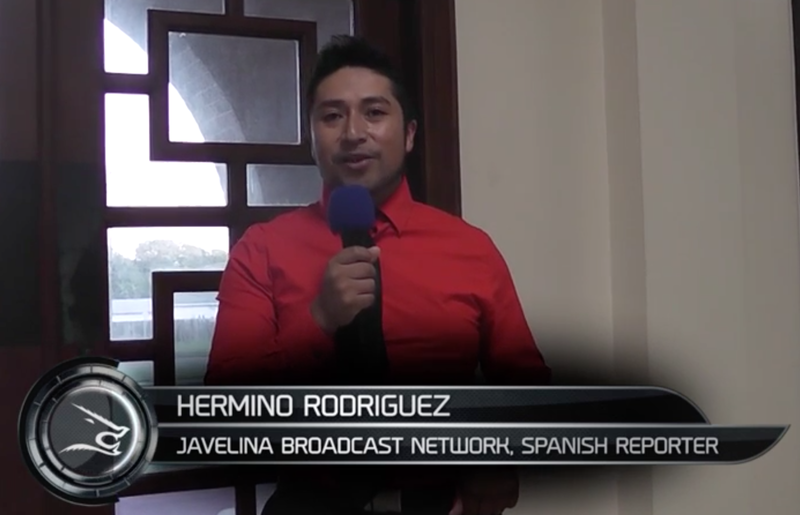 Later on Rodriguez was given the opportunity to help out as fill-in news anchor for Abilene’s only local news in Spanish.